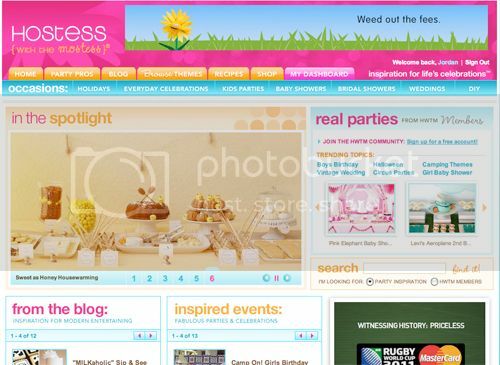 Have you seen the new social networking site from Hostess with the Mostess? Jenn's blog has always been a central source of inspiration of mine when it comes to brainstorming ideas for a party or a new design. So much party eye candy! With the launch of this new members arm of her website, you can sign up, submit photos, comment and be a part of rich party resource. Think Facebook for party people! I'm a pro vendor on the site and have begun uploading some of my own events and have started following lots of other talented chicks! One feature I really love is being able to search parties by colour - handy! You can find out more about signing up here. Oh nice, didn't know that will have to pop over.